Korda Krank Micro Barbed Choddy Hook Not long after the Krank hook was conceived, Tom Dove hatched a plan to introduce a chod version, with an out-turned eye. His imagination was captured by the way that the continuously curving shank could mirror the curve of the chod rig, creating what many of us consider to be the ultimate chod hook. Just like the standard Krank hooks, the Krank Chod has a beaked point and slight offset that combine to offer unrivalled hook hold security. They can of course be used with unstripped, coated braid or mono hook links to produce effective bottom-bait rigs too! 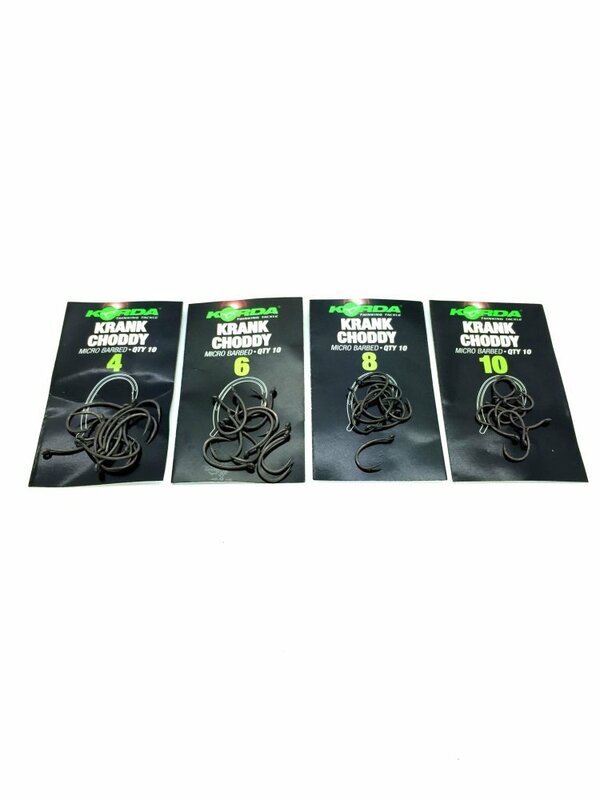 The Krank Chod is available in sizes 4, 6, 8 and 10, and in a barbless version too.